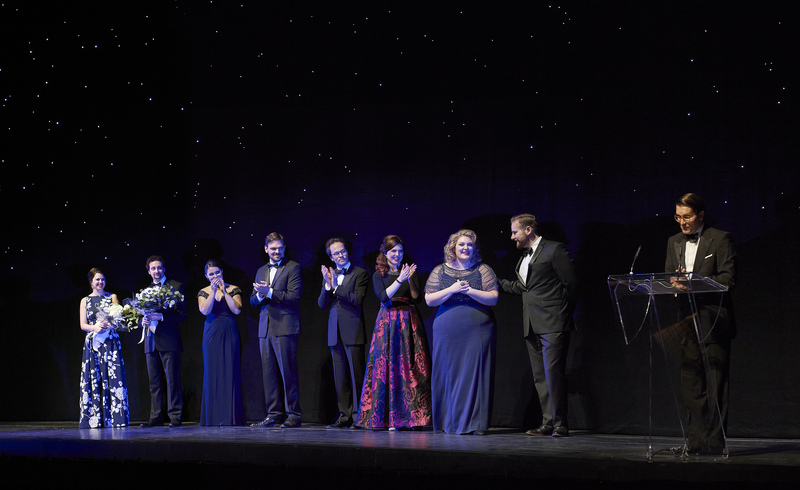 On Nov. 1, 2017, the Canadian Opera Company presented its annual Centre Stage Gala featuring the Ensemble Studio Competition. The order and wording of this title is not without significance. The evening is as much about the glittering, fundraising dinner that takes place onstage after the live performances, as it is about the competition itself. COC General Director Alexander Neef alluded to this in remarks delivered just before the winners were announced—what the audience experienced (7 young artists each singing a single aria accompanied by the COC Orchestra under its Music Director, Johannes Debus) was only one part of the audition process. Prior to the public concert under review here, the singers offered another aria in a round closed to media and the public. Before that, each contestant had spent several days working with COC coaches and voice instructors. Without a doubt, the decisions announced on Wednesday were based on much more than just the performances to which the public was privy. This is of course entirely logical, since functioning as a member of the COC’s prestigious Ensemble Studio is about much more than wearing a glittering gown on a beautiful stage, supported by full orchestra. There are hours of arduous rehearsals to get through which require flexibility, patience and collegiality. Whether or not this public concert should be labeled a ‘competition’ in the truest sense is therefore open to debate as it appears prizes are not solely based on the performance of a single aria. Second prize went to Ottawa bass-baritone Joel Allison who has been no stranger to success on the vocal competition scene as of late. His rich, robust instrument was applied to “Scintille, diamant” from Offenbach’s The Tales of Hoffmann—a challenging aria for even the most experienced bass, sung here with some inconsistency of tone throughout the range—but he nailed the perilously high F# at the aria’s climax! 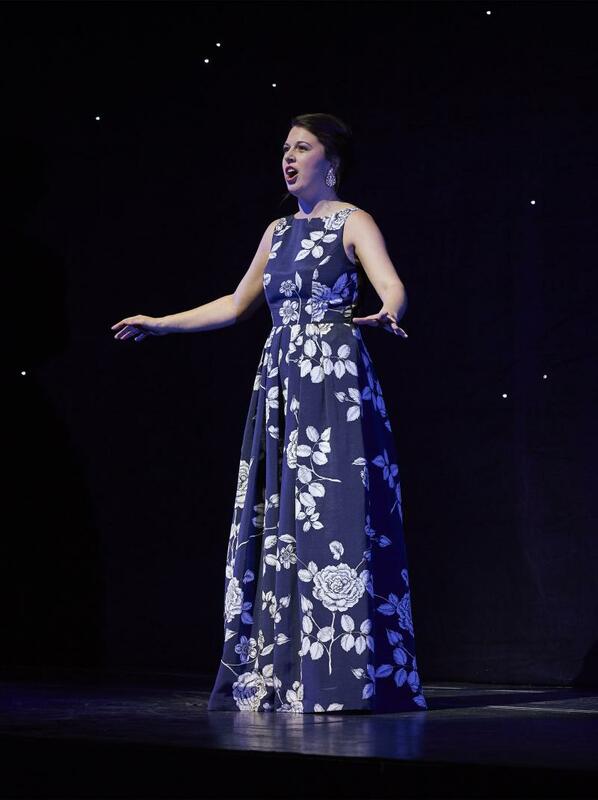 Gatineau, Québec soprano Anna-Sophie Neher nabbed third prize with her rendition of “Je veux vivre” from Gounod’s Roméo et Juliette. So often, the first competitor in these events is forgotten when it comes to prize giving—not so this time! Neher possesses a very well-projected tone with a characteristic quick vibrato that recalls great sopranos of yore. She handled the decorative complexities of this chestnut well, but as the first singer to be thrust centre stage, she was perhaps glued a little too tightly to her spotlight. It was difficult to choose between Neher and the other two lyric sopranos: Abbotsford, B.C.’s Chelsea Rus sang Norina’s “Quel guardo, il cavaliere” from Donizetti’s Don Pasquale with sparkling tone, idiomatic diction and probably the most relaxed, characterful presentation of the evening. 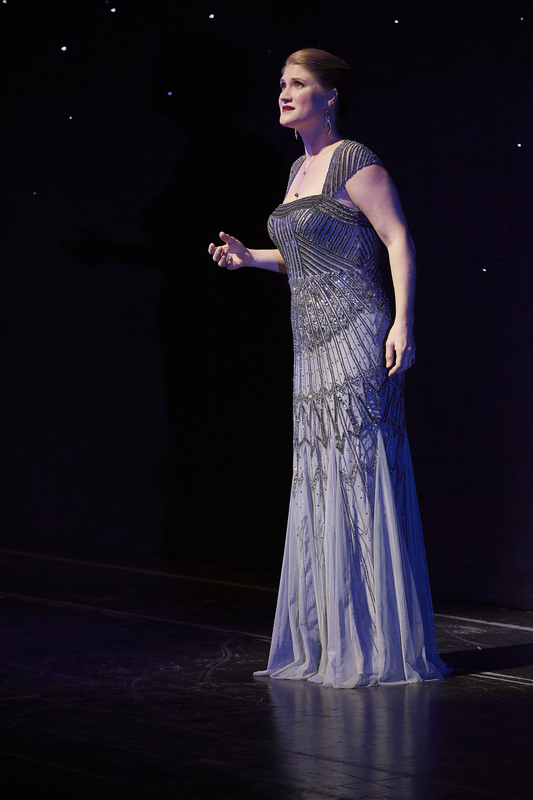 Tsawwassen, B.C.’s Natalie Image challenged the ubiquitous Italian/French Romantic hegemony with a beautifully drawn aria from Rimsky-Korsakov’s The Snow Maiden. It’s always a risk to perform arias from outside the accepted canon which can provide the judges with an easier basis for comparison. Hopefully Image’s bold choice did not disadvantage her when the prizes were handed out! 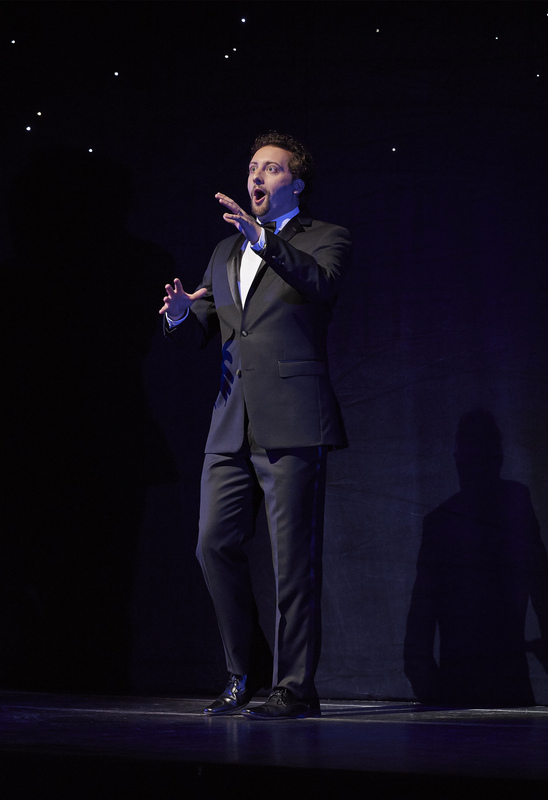 Grande Prairie, Alberta’s Matthew Dalen was the sole tenor, displaying warm tone and good connection to text in “Salut! demeure chaste et pure” from Gounod’s Faust. This is one of French, grand opera’s most challenging test pieces which Dalen handled well—it will be interesting to see whether his voice develops in a direction to be able to sing the role in its entirety. 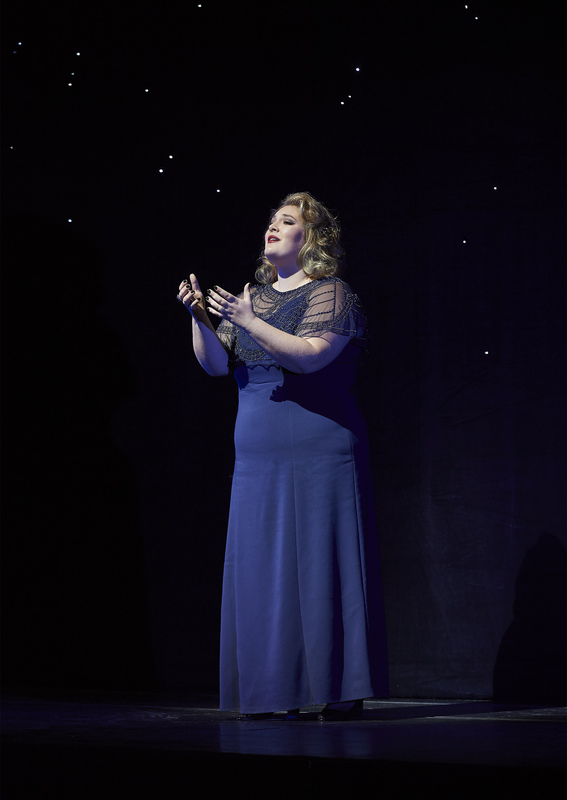 As has been the custom, each competition features a ‘mystery guest’—this year, it was soprano Jane Archibald who is the COC’s first artist-in-residence, singing roles in each of the company’s three 17/18 ‘mini seasons’. She reprised her Donna Anna from two years ago, singing “Non mi dir” with peerless technique and just a hint of the ‘woman-on-the-verge’ quality she brought to her portrayal in the notorious Dmitri Tcherniakov production of Mozart’s Don Giovanni. The real surprise was her second piece—Violetta’s famous double-aria scena, “È strano!…Ah, fors’è lui…Sempre libera” from Verdi’s La traviata. I am uncertain if this was Archibald’s debut singing the aria but she did seem to be throwing her cards on the table, announcing she is now ready to move beyond the baroque/classical roles for which she is justly famous and dip her toe into heavier Romantic repertoire. It was good to see Debus back in the pit after his stint at Metropolitan Opera this fall. The COC Orchestra did a commendable job accompanying the contestants in what for them must be disparate, and often unfamiliar styles and repertoire. Keep an eye on these pages for subsequent announcements regarding which of these singers are offered places in the COC’s 18/19 Ensemble Studio.